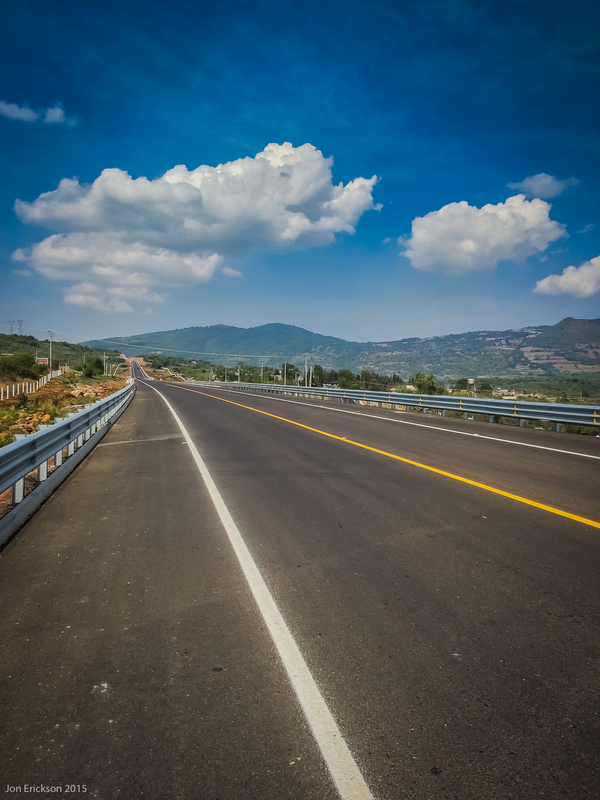 Today we rode the new tollway running from Pátzcuaro to Capula and returned to the tollbooth. 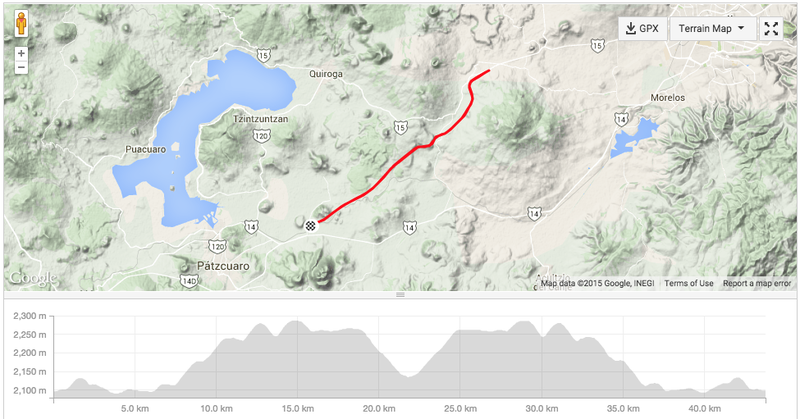 This route is anything but flat, you are either riding up hill or down hill. Reminds me of the rides around Durango Colorado, the climbs were not hard, but they were extended steady climbs. 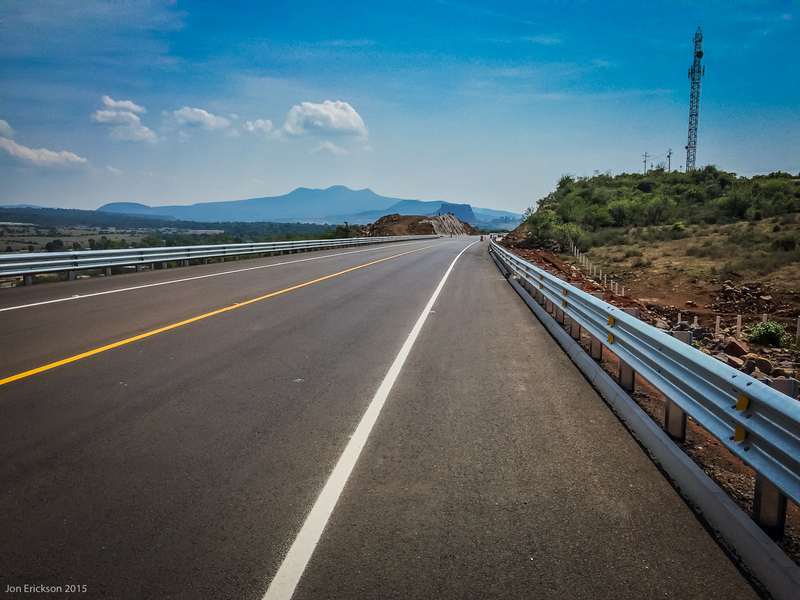 For the time being the new toll road is not being ridden much, so you have this great new tarmac with not a lot of traffic to contend with.